Overseas Exile: The End of FATCA? 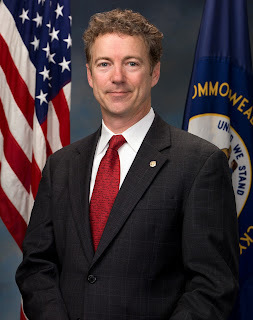 For those outside the US who do not know who Rand Paul is, he's the son of Ron Paul, a US politician who's perennial quest for the presidency was at first met with mockery but eventually garnered enough support that it's widely believed that the Republican party deliberately locked him out of contention for the Presidency. So why would I talk about Rand Paul in an expat blog? In lieu of journalism, the Wall Street Journal has posted a poorly written press release about it. In lieu of journalism, Mother Jones has posted a hysterical rant about it. This just kills me. As I wrote near the end of Stateless Americans and Renunciants, nobody seems to give a damn about the actual facts regarding expats. Of the two stories above, the Wall Street Journal article strongly praises Paul's bill and Mother Jones strongly opposes it. Of those two publications, I would lean more towards Mother Jones than Wall Street Journal (particularly after Rupert Murdoch's yellow journalism "News Corporation" bought it), but in this case, the enemy of my enemy is my friend. The Mother Jones article completely gets it wrong, implying that the six million plus Americans living abroad are mostly wealthy tax dodgers. We're not. We're taxi drivers, teachers, software engineers, retirees, accountants, waiters, spouses, and so on. There might be a higher percentage of rich Americans amongst expats, but no one will ever know since the Census Bureau refuses to count us and Congress repeatedly rejects bills whose aim is get information about expats upon which they can base their laws. In the case of Rand Paul, a man I don't particularly like but who I'm beginning to at least respect (ironically, I used to feel that way about his racist father), the Wall Street Journal article avoids pointing out that Rand Paul isn't necessarily driven by compassion for expats, but perhaps is acting more in line with his virulent anti-tax beliefs driven by that starry-eyed conviction that Libertarianism is the path to nirvana. Of course, Paul's beliefs do cause him all sorts of problems. He's backtracked on his civil rights views, for example, such as his beliefs that government laws to end private discrimination are wrong and that public pressure, which had already failed repeatedly, is the tool of choice. You don't want to hire black people or serve gay people? Paul thinks that's your right. So I can't say I'm excited to have this man as an advocate of such an important issue, but nonetheless, he's articulate and he does appear to be following his beliefs. And given that Rand Paul will be running for the presidency in 2016, he's getting a fair amount of political traction and maybe, just maybe, we can have the mess that is FATCA ended.